It is so hard to believe that ten weeks ago we were chalking base lines, raising Arts and Crafts tents, putting the finishing touches on our new pool and getting ready to welcome our campers for the summer of 2013. There was so much anticipation for all of the HCDC staff. Surely many of you also experienced that anticipation on June 23rd, the night before sending your children off for the first day of camp. 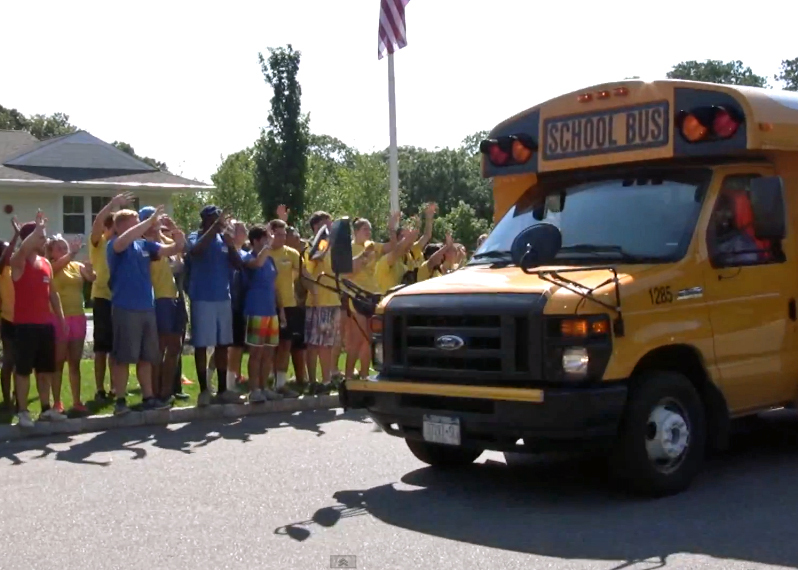 On a beautiful sunny day, with our busses arriving, we welcomed our campers. Stepping Stones campers off the bus first, then Upper Camp, “Seat belts off, Backpacks On! !” Returning campers who couldn’t wait to show us how much they had grown, new Stepping Stones Campers who had never been away from home for a full day. New haircuts, new stories to share, new friends – it was sure to be a great summer! We enjoyed all the fun of Spirit Days, Dance Offs, “Great so Great!” and of course STARFISH bracelets! Gaga was better than ever, both indoors and out. We added Beach Newcomb and Volleyball to our list of favorite sports this summer too. Who hit the ball out of Sun Stadium? We experimented with new recipes in cooking, sang and giggled with Prince Harold, and danced our hearts out on the STARFISH Stage. We watched your children take risks and grow and nudged them in the right direction when we could. Our “staff family” from all different parts of the world, developed as counselors and got to know their campers. Their spirit and energy was infectious and their enthusiasm was boundless. Their care and supervision of your children has been beyond any description I could possibly put into words. Every morning throughout the summer we selected a staff person to “shout- out” for carrying just a bit more than his/her usual load on a given day. Today, we shout-out to all our counselors and staff for their hard work and devotion day in and day out. They are truly a unique group of individuals. As we pack up our Hamptons belongings and start our journey back to city life, it is an exciting time of change and movement forward. As we prepare ourselves for the great year ahead, we should stop to savior the moment, share a smile, or help a STARFISH buddy. Think back on all the happy moments that your children have enjoyed at HCDC to carry you through the months ahead, but remember, next summer is just around the corner!